I think we are dealing with massive uncertainty in almost every sphere at this point…Effective collaborations are going to be especially important now. At the Arnhold-Punctum Publishing Lab at UCSB Library, undergraduate students are doing the work of publishing scholarly monographs. The unusual cohort of academics responsible for the launch and success of this Lab believes that the future of scholarly publishing is a collaborative, community-based, mission-driven, and service-oriented endeavor that engages teams with a range of skills, knowledge, expertise, and resources. But, before I get too far ahead of myself, let me describe the Lab and introduce its various participants. Funded by an Arnhold Research Grant for Undergraduate Education, the seminar-workshop style lab, aimed at undergraduate students interested in creative publishing and scholarly communications, was first offered at UCSB as a two quarter practicum during the Winter-Spring quarters of 2017. The cohort included nine undergraduates, two graduate student coordinators, one faculty coordinator, a publisher, a scholarly communication librarian, a data librarian, and, of course, the authors, or more specifically, their manuscripts. The nine undergraduates in the practicum had no prior publishing experience and came from a variety of disciplines, including biology, anthropology, English, and dance. The one thing all these student editors had in common was that they had all taken at least one course in the English Department’s Literature and the Mind Program. The students worked in teams of three, and each team was responsible, over the course of two quarters, for the production of one scholarly monograph. 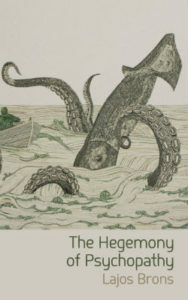 The three titles, produced by the three teams, had been submitted to the publisher punctum books for publication, had been peer reviewed, and were revised. The Lab met in the Library’s new Interdisciplinary Research Collaboratory (Collaboratory), which supports data intensive research on campus and has the necessary software and large monitors needed for copyediting, cover design and typesetting. Scholar-publisher Eileen A. Fradenburg Joy is the brains behind the operation. 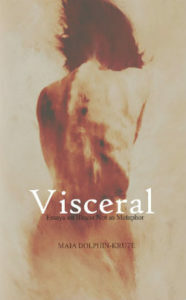 Her highly regarded Santa Barbara-based non-profit press, punctum books (with its tagline “Spontaneous acts of scholarly combustion” — a phrase that could describe Joy herself), is the largest open access (OA) monograph publisher in the U.S. With her co-director, Vincent W.J. van Gerven Oei, punctum books produces thirty to forty books a year and has a catalog of over 200 titles in the humanities, social sciences, fine arts, and architecture and design. The basis of their success, and graduated open access business model, is an enormous amount of sweat equity, print on demand sales that exceed free downloads, donations, individual subscribers, and the care and attention given to authors’ visions and interests. At punctum, authors’ voices are not normalized. An author’s style and voice is privileged over the market and other commercial forces that often drive the publishing choices of university presses and for-profit publishers. Punctum is focused on publishing both as an artisanal craft and as a house of hospitality that seeks to foster and preserve work that might not be welcome elsewhere. Punctum prides itself on publishing weird and wacky creative minds, within and outside the academy, including thought leaders at prestigious universities, para-academics, independent scholars, artists, knowledge workers, and others who want to experiment with writing styles and forms that do not fit into the rigid parameters of the traditional scholarly monograph or that push the boundaries of established disciplines and their conventions. This is also a general characteristic of library publishing. Joy is a passionate advocate of public mission-driven, service oriented, scholar-led, university-based (preferably in the university library), no-fee, open access publishing, where the primary purposes and main values are the advancement of knowledge and the care and nurturing of scholarship of all stripes. And she is enthusiastic about fostering the development of a new breed of young publishers who share this ethos. Each team of students in the Lab was responsible for handling all the production work for their assigned texts, from proofreading, sentence level copyediting, and citation verification, to cover design and typesetting. In addition to navigating and learning library systems, Chicago Style, and Adobe Creative Suite software, students also came to better understand the business and legal aspects of academic publishing as a content industry; they received mini-tutorials on: a) the open access movement b) the history of the book c) the state of the art and business of contemporary academic publishing d) copyright and intellectual property e) and disputes and trends within particular information industries. Everyone agreed that it was a good idea to host the Publishing Lab in the Library. The UCSB Library Scholarly Communication Program is a service oriented multidisciplinary outreach, education, and advocacy program, with strong roots in the humanities. Specifically, the program grew out of the Library’s Humanities Collection Group (Huma). Huma librarians began to investigate how the then emerging issue of open access publishing and scholarly communication impacted the humanities and discovered the complexities of the “the crisis in scholarly publishing.” Huma librarians brought interested faculty members into the Group’s conversation early on and many have continued to be valued collaborators in developing programs and services to help UCSB researchers navigate the constantly changing scholarly communication and publishing environments. 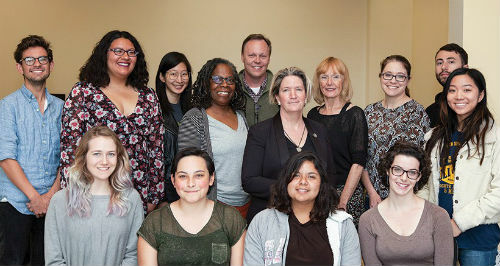 Despite its humanities orientation, in order to support all the publishing goals and experiences of UCSB researchers, the Scholarly Communication Program strives to champion a myriad of diverse and disciplinary approaches to OA, while prioritizing support for UCSB researchers with the least amount of resources to help them join the open access revolution and the changing scholarly communication environment. Thus, with its roots in the humanities, and with funding agencies providing most of the incentive and financial support for open science, the UCSB Library Scholarly Communication Program has chosen to provide a higher level of commitment and support for potentially transformative, mission-driven, community controlled, service-oriented, no-fee open access publishing, while demonstrating a commitment to core Library values, such as collaboration and innovation. Library support for scholarly communication and digital scholarship initiatives are spread across three Library programs, and two Library divisions. The Data Curation Program, along with the Scholarly Communication Program and the Interdisciplinary Research Collaboratory, together, encompass scholarly communication support in the Library. In this highly collaborative environment, focused on outreach and service, based on campus needs, rather than trends, there were no barriers to hosting the Lab. The authors agreed to make their manuscripts available for use in the Lab. Students’ copyedits were reviewed first by the team coordinators and then the authors, who agreed to student suggestions, such as changing a title and cutting sections that wouldn’t hold up to fact checking. One author cried tears of joy when reviewing the cover students designed for her book. 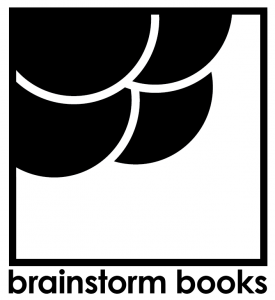 The Brainstorm Books published over the the course of the Lab were: Visceral: Essays on Illness, Not as metaphor, by Maia Dolphin-Krute; Covert Plants: Vegetal Consciousness and Agency in an Anthropocentic World, edited by Bruce Gibson and Baylee Brits; and The Hegemony of Psychopathy, by Lajos Brons. Like much in life, by working together, punctum, the English Department, authors, students, and the Library were able to accomplish collaboratively what would ordinarily be difficult for each one to do independently. All brought critical resources, skills, and knowledge to the effort. Financial support, literary expertise, publishing skills and expertise, knowledge of library systems, space, and technology were required to successfully implement the idea for an undergraduate student publishing lab to educate students about open access publishing in a skills building student practicum. The Arnhold-Punctum Publishing Lab has been an opportunity to expand the The UCSB Library Scholarly Communication Program’s capacity to reach out to undergraduates in a meaningful and fun way. That said, since the Lab only supports nine students a year, we are unlikely to revolutionize academic publishing or create a generation of scholarly publishing professionals committed to a collaborative service oriented, scholar-led, not-for-profit publishing model. We are simply striving to live our values, while encouraging other publishers, libraries, scholars, and authors, who share our values, to become strivers as well, by duplicating and improving on our efforts. The dominant open access narrative tends to focus on open science and reducing journal costs. These practices limit access to both journal and monograph scholarship by limiting libraries’ purchasing power. 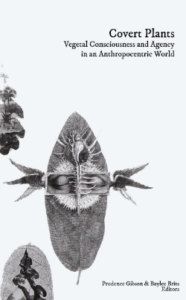 The Arnhold-Punctum Publishing Lab, is one example of radical open access. This model prioritizes and values scholar-led, university-based, service-oriented publishing as a craft, involving humanistic horizontal relationships, a commitment to an open scholarly commons, and the creation of a more diverse scholarly publishing landscape. Sherri L. Barnes is UCSB Library’s Scholarly Communication Program Coordinator, Librarian Subject Specialist for Feminist-LGBTQ Studies and U.S. History, and former Humanities Collection Coordinator. She serves on the Executive Board of punctum books.